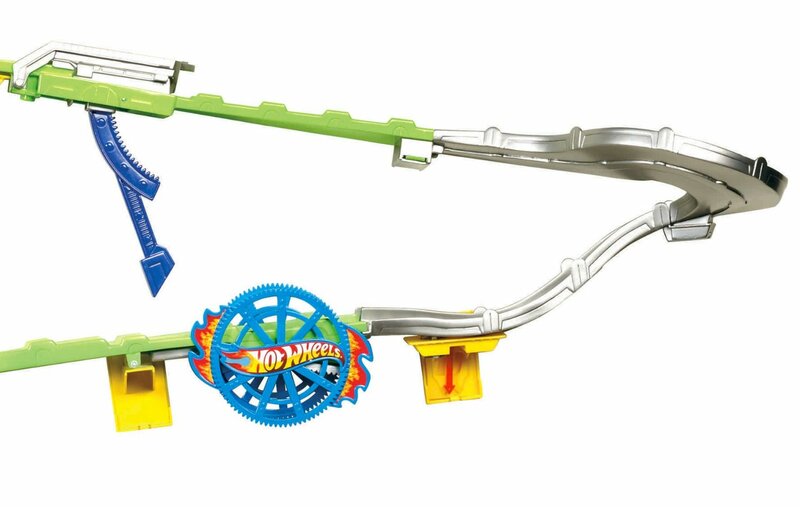 The Hot Wheels Loop & Launch from Mattel features ready-made tricks for endless fun and non-stop stunts. The action-packed possibilities are endless! Kids can even coordinate 1 of the 14 included cars and the jet to soar at the same time. As the cars gain enough speed to roar through the loop, kids can pull the trigger and watch as a jet is launched overhead.